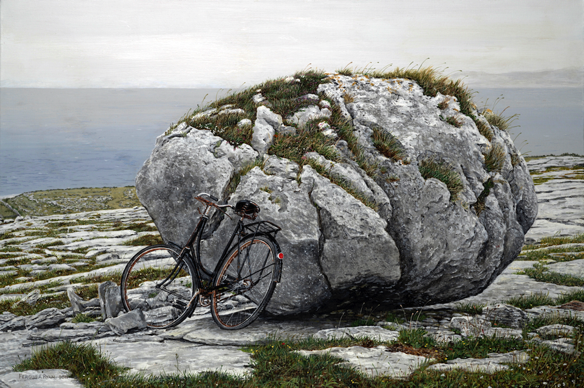 An old bicycle rusting in the salt-moist wind, abandoned by its owner against one of the huge rocks called ‘erratics’ on Ireland’s Atlantic coast. The bicycle is, like the continent, at the end of its journey. The picture is a fictional ‘portrait’ of my wife Sarah’s mother Annie, who rode this bicycle through the countryside since Sarah was a child.